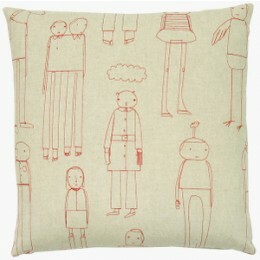 Sustainable fabrics sewn into pillows, personalized with embroidered characters to represent your family. Zipper closure and a feather/down insert. Removable cover may be dry-cleaned or hand-washed. Off white hemp/organic cotton blend with black stitching. 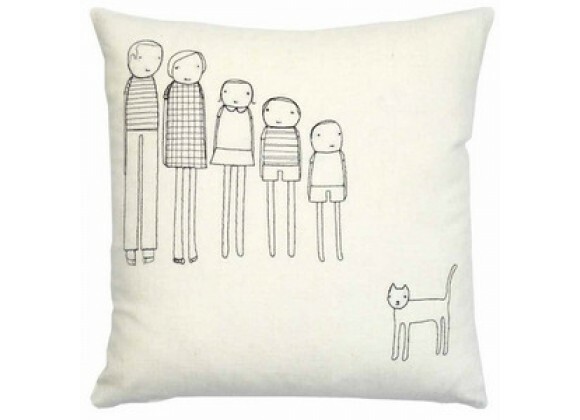 This item ships to anywhere in the continental US. Dimensions (inches) : Available sizes 18", 14", 10x18", 14x24"
Material : Hemp and Organic Cotton. Availability:Typically ships in 7-10 business days as each order is custom made by the artist. Dimensions (inches) : Available sizes 18"
-- Please Select --18" 14" 10x18" 14x24"